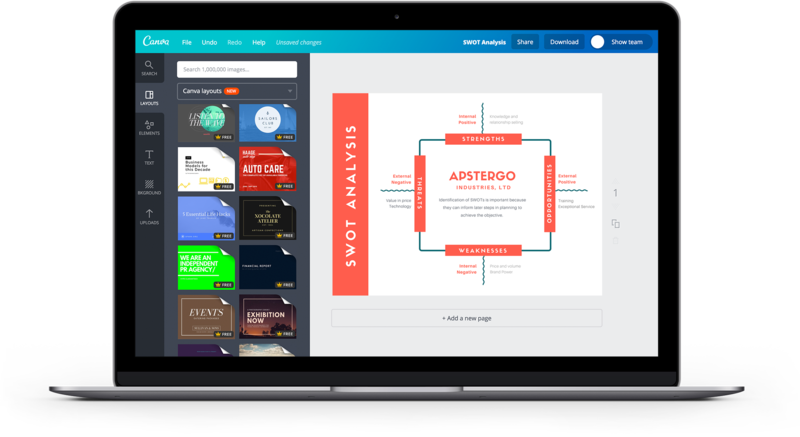 Create a SWOT analysis that you’re proud to present with Canva’s expert range of templates and online editing tools. 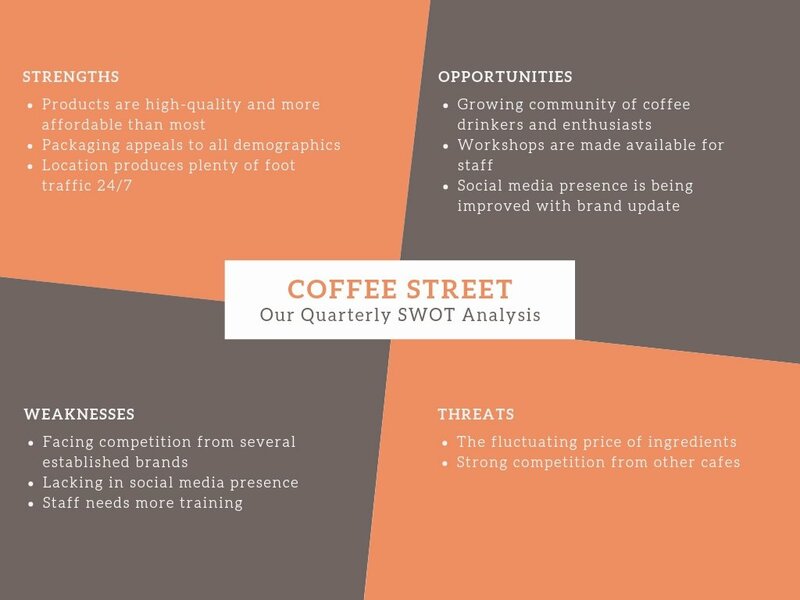 When it comes to building a strategic vision, a SWOT analysis is a crucial first step. It’s an important step for businesses and organizations to gain insights into their internal and external core strengths, weaknesses, opportunities and threats. Think of how many SWOT analyses managers and decision makers have to sift through. 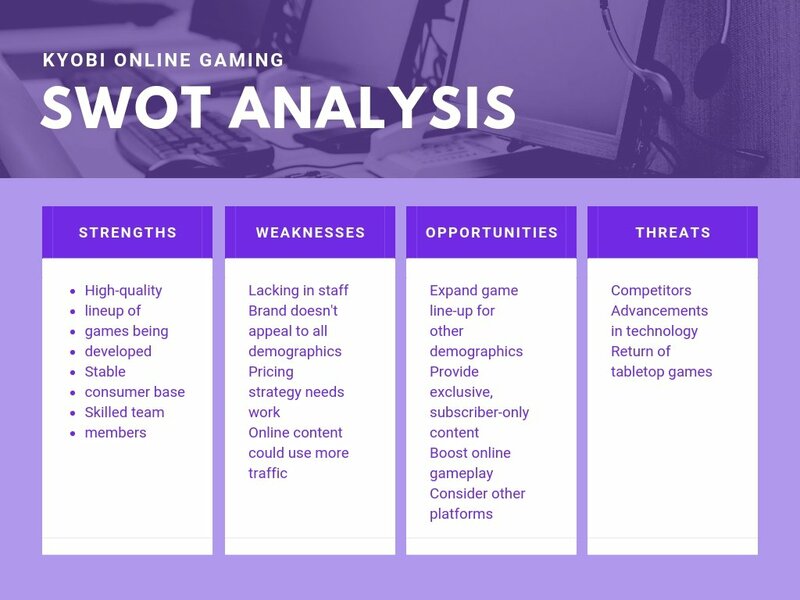 If you really want your SWOT analysis to stand out from the crowd, you’ll need to design one that not only looks good, but also makes an impact. The easiest way to do this is with Canva. With ready templates and easy drag and drop tools, you can leave the design to us and concentrate on showing off your analytical prowess. 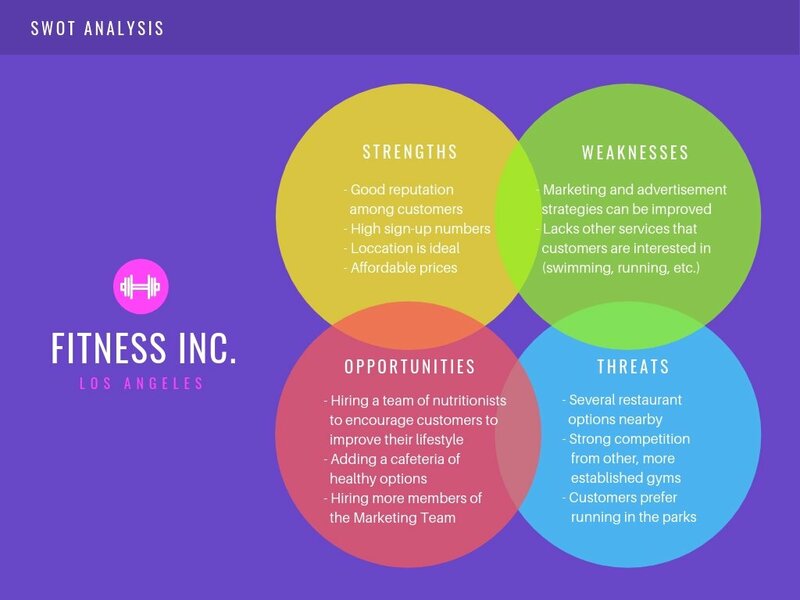 Create a new Canva account to get started with your own SWOT analysis designs. 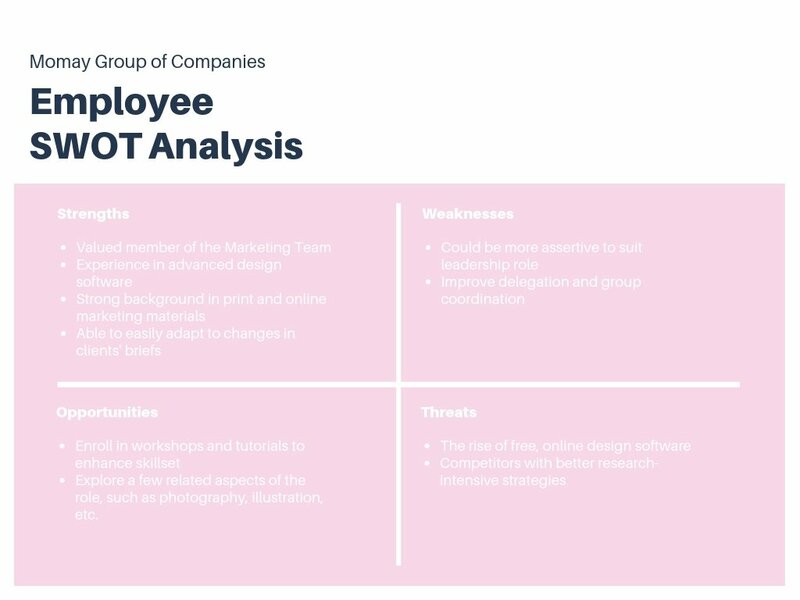 If you’re presenting your SWOT analysis to a company, or if it forms part of a larger company report, you’ll want to make sure that it aligns with the company’s look and feel by using company colors throughout your design. Editing and choosing colors in Canva is easy-peasy. Just select the element that you’d like to customize, click the color selection tool and choose whatever color you like. If you know the exact color that you need, all you need to do is type in the color hex code. Instead of purely using lines and text, why not communicate your ideas with striking images, icons and illustrations? Add some flair to your design with Canva’s extensive library of over 1 million images, illustrations, graphics and icons. Simply drag and drop the images that catch your eye, then resize and position them where you’d like them. You can even upload your own custom images, such as the logo of your company or your competitors. You can also change the color of text, backgrounds and design elements to reflect your company’s look and feel. If you are a Canva for work subscriber you can also upload your own custom fonts and apply them to any of your designs for a cohesive and professional look. 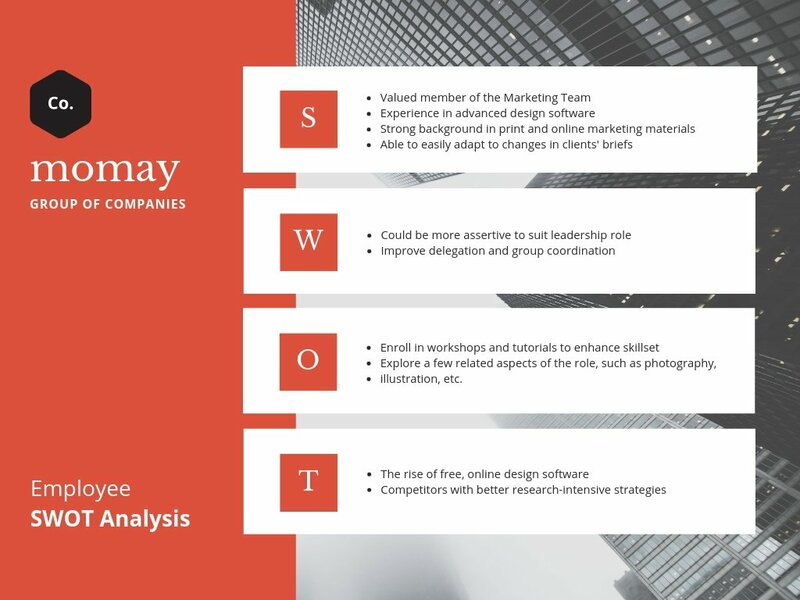 In order to create a truly detailed SWOT analysis that takes all aspects of an organization or business in consideration, it’s best to get input from various team members or departments within your company. Fortunately, collaborating on a Canva design won’t cause any headaches—it’s as simple as sending a link to your team. Click the Share button and give them either viewing or editing access. Your colleagues will then be able to access your design and add their own edits anytime, using any computer, iPhone, iPad or Android device. 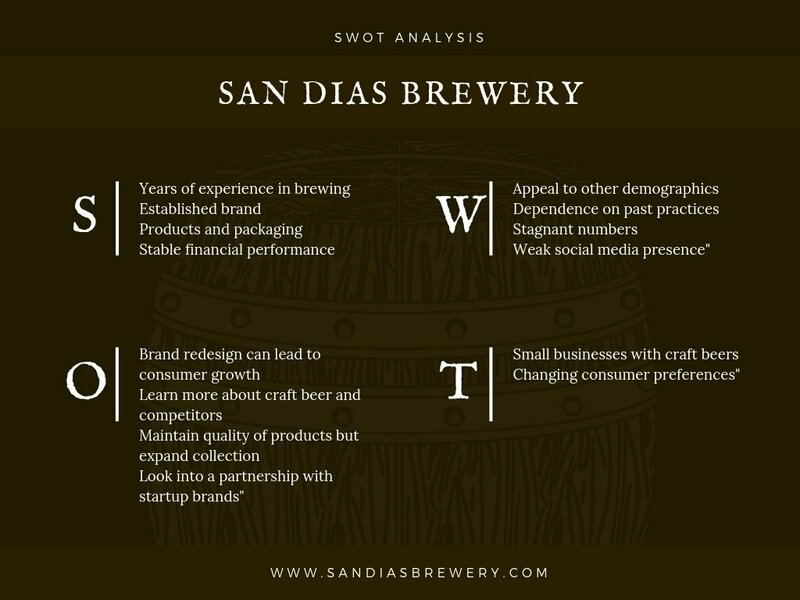 How can I add branding to my SWOT Analysis design? 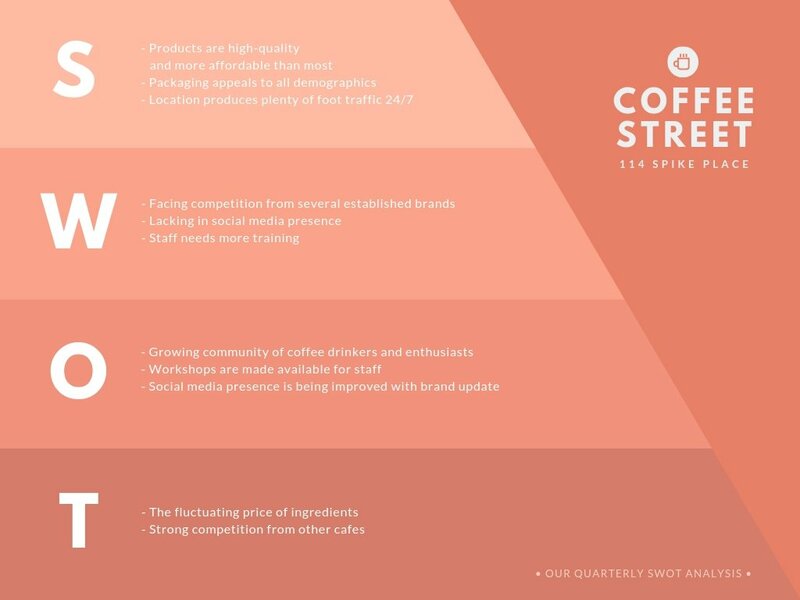 Create a SWOT Analysis that is instantly recognizable by uploading your logo, using your brand color palette and consistent fonts. To upload your logo, click on the Uploads tab in your object panel, select the Uploads folder, and click on hte green Upload your own images button. Select any PNG, JPEG or SVG file you wish to upload from your computer. Uploaded images are automatically saved inside your Uploads folder, ready to be used in other designs. Does Canva have free images or illustrations for me to use? Canva is a fully online design platform. 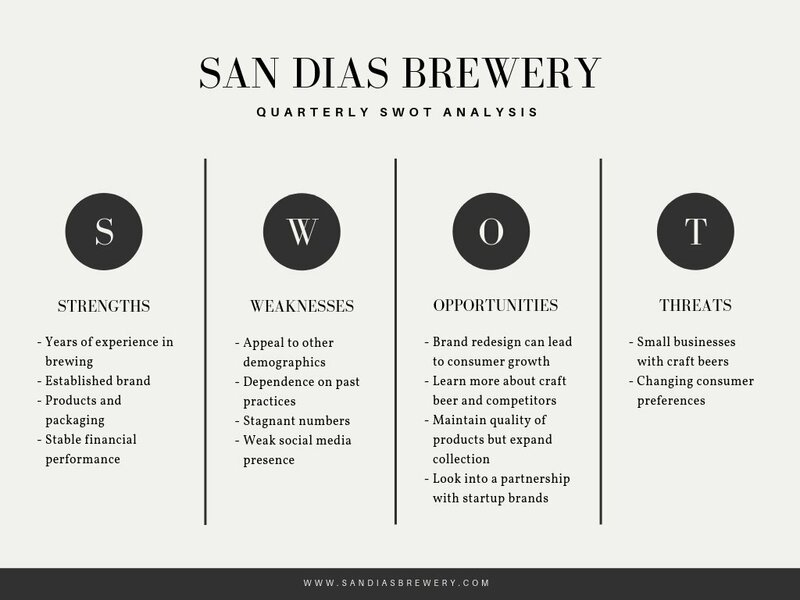 Simply head on over to www.canva.com to start creating your SWOT Analysis design. You don’t need to download Canva, just create an account and log in. If you want to design on the go, download our iPad, iPhone or Android apps for free from the App Store and Google Play.